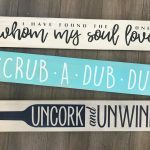 Join us at Creative Grain – JAX BEACH for a DIY class where you can bring some wine to enjoy and create something unique and personalized to match your decor! 3. 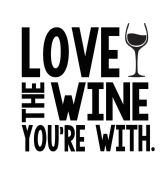 On the registration form, enter the Design Name (required in order to prepare your stencil) and personalization, if applicable, for your project. Proceed with checkout. PLEASE NOTE: If you would like us to create a new Custom Graphic Design for your project, an additional fee will apply. Your registration must be submitted at least 72 hours before the workshop. Please order the CUSTOM GRAPHIC DESIGN + Project ticket and include all design details at checkout. 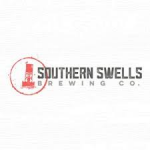 Beer & Boutiques Spring Pop-Up @ Southern Swells Brewing Co.